WASHINGTON, D.C. – (RealEstateRama) — The Orlando Regional REALTOR® Foundation has been honored with an Award of Excellence from the 2016 Orange County Sustainable Development Awards. The foundation is the charitable arm of the Orlando Regional REALTOR® Association, which as the nation’s 10th largest local REALTOR® organization represents more than 12,500 Central Florida real estate professionals. The mission of Orlando Regional REALTOR® Foundation is to address the area’s critical need for affordable, workforce housing. The county accolade recognizes the foundation’s Heroes’ Commons at Jefferson Park housing initiative. Upon completion, the initiative will provide six mortgage-free homes, located in a redeveloped section of the Parramore area in downtown Orlando, to local veterans and their families. In addition to providing homes and support services to veterans, the Heroes’ Commons at Jefferson Park project is intended to stimulate the revitalization of owner-occupied housing in the Parramore community. Heroes’ Commons at Jefferson Park is part of the foundation’s Art in Architecture program, which collaborates with local architects, builders, lenders, housing organizations, and municipalities to create affordable housing opportunities. Upon completion, Heroes’ Commons at Jefferson Park will be a “village” of six single-family, ADA compliant detached homes. Each house in this collaborative project is designed to incorporate unique architectural elements and flexible floorplans that can suit the needs of an ill, injured, or wounded veteran, if necessary. The homes are energy efficient and built with environmentally friendly materials and appliances. The homes’ architects also used the concept of shared garages to maximize the green space within the project. A recipient for each of the six Heroes’ Commons at Jefferson Park homes has been chosen. The homeowners-to-be were required to meet certain financial counseling and income requirements, and were determined by a selection committee. The veterans will receive access to supportive services to ease the transition from military life and into the role of a successful new homeowner. Visit orlandorealtorsfoundation.org for more information about Heroes’ Commons At Jefferson Park, to make a donation, and to view a list of project donors. 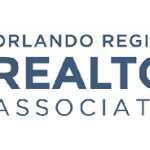 The Orlando Regional REALTOR® Association is one of the largest trade associations in the state of Florida and represents more than 12,500 real estate professionals throughout Central Florida. It’s charitable arm, the Orlando Regional REALTOR® Foundation, was created to address Central Florida’s critical need for affordable, workforce housing.